This is a rectangular Fido Elida Orama porcelain sign. 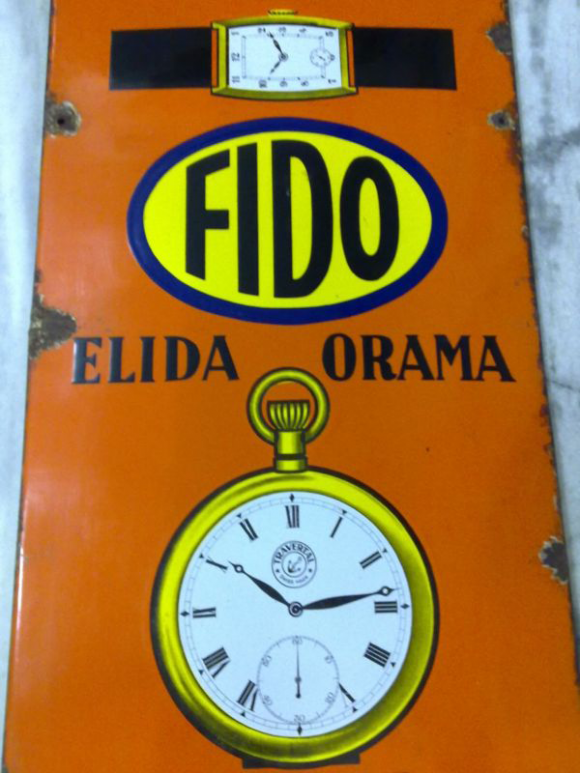 This particular Fido Elida Orama sign is predominantly orange with a yellow oval in the center. It reads, “Fido Elida Orama” and features a black and gold wristwatch at the top and a gold pocket watch at the bottom.